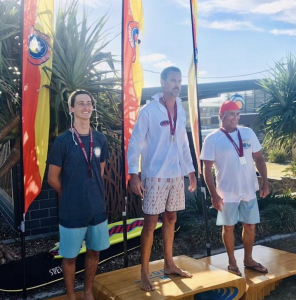 Congratulations to our two team riders Riley Thomson and Kirra Molnar competing for their clubs on the weekend at the SLS State board riding titles in Palm Beach. 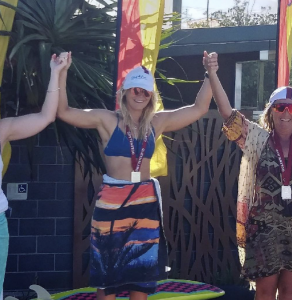 Kirra Molnar took out the Open Women’s Longboard and picked up a 3rd in the Shortboard. 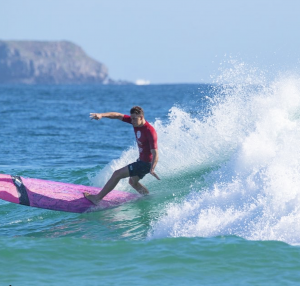 Riley placed 3rd in the Open Men’s Longboard and 4th in the U17 shortboard. Pro surfer, Brazilian Jiu Jitsu instructor and musician, Andre Derizans is one talented human. 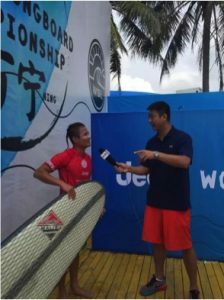 Currently prepping for the WSL Taiwan Open World Longboard Championships, I thought I’d ask Andre a quick 10 questions about his surfing, surfboards, the surfing culture in Hawaii and competing. When did you first start surfing? Do you remember your first wave? 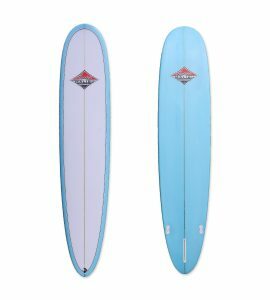 I started surfing with other peoples boards around 8 years old. My first wave was just a small white water, but it changed my world. I knew I found myself doing what gave me the best feeling ever. I felt integrated to the planet. I felt hugged by Mother Nature. The feeling became the reason of my existence, I felt so good that since then my days are not completed without a surfing session. 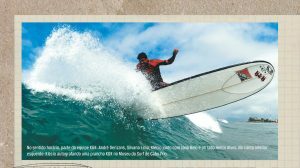 How would you describe the surf culture in your home town? Living on the North Shore of Oahu, sharing the line up with the biggest legends of our sport provides great inspiration to evolve in the sport. 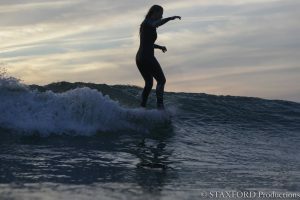 Surfing is a big part of our culture as a natural healthy lifestyle. Staying salty with sand in between your toes keeps you strong and healthy, fulfilling your heart with happiness. What’s your favourite board to ride short or long, why? I grew up on a shortboard but now I prefer longboarding. 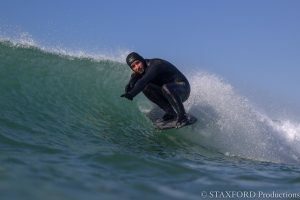 I enjoy the challenge of radical maneuvers on a longboard and having the option of nose riding because it gives you the complete feeling of surfing as a whole. You can only experience this feeling to the max with a top of the line high performance longboard. 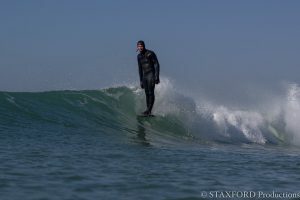 This can only be properly constructed by an expert, thats why after I went to Australia and surfed on a Classic Malibu a new concept of shape, speed and flow was magically installed in my brain, revealing new lines and making what was impossible before, my routine. I could do things never done before. Tell us more about your Spydah Model Longboard…where did this name come from? 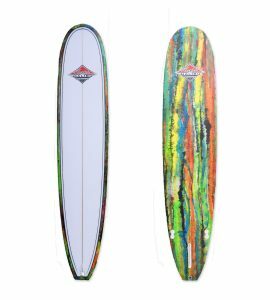 I have learned a lot about boards after I met Peter White and became dependable on my Spydah models to be happy, lol. 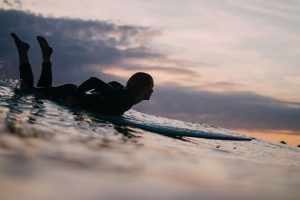 When I started surfing for Classic Malibu I felt blessed because I felt like I was adopted by a legendary family with knowledge, wisdom and much aloha. 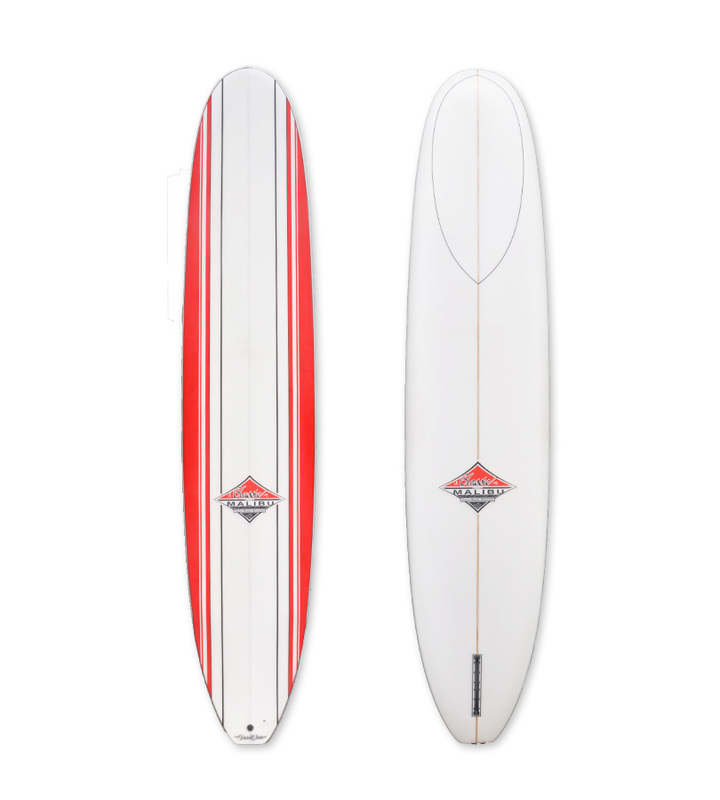 The Spydah model originated after I surfed for several months on 2 boards I brought back from Australia. One was made for Peter and the other made for me, it was a copy of a Brett White model with a little more volume. Those 2 boards helped me understand the performance concept and surfing on a CM became a necessity for my personal satisfaction, comfort and success. Having a dedicated model made for me by Peter is an honour and helps perpetuate radical longboarding, providing a great board for people who like to rip and push the limits. I am known on the island as a spider on the mats due to statements by people that felt like I have multiple legs and arms when they grapple with me. One of the WSL (ASP at the time) announcers Kaipo Guerreiro, one day during the Dukes fest, as he was calling me to my heat said: ‘In the red jersey Andre Derizans the spider man.’ He brought up my spider skills and called me the spider man, your friendly neighbourhood Spiderman. The kids loved it so I decided to register the name and it was taken, so I registered with a hawaiian accent: ‘Spydah’. Where is your favourite place to surf in the world? Do you ever get nervous before competitions and what do you like about the competition side of surfing? I get nervous, yes I am human, but competing keeps me sharp and I’m always looking to evolve. It’s amazing how much competition pushes you to surf so much harder, but the great aspect of it is that as an artist you can draw your own lines, producing your signature in the waves. It’s like doing a performance show to the public and to top it off I get to meet all the world class people that share my same passion. In your opinion what is your best competitive achievement in surfing to date? Keeping my name up there with the best as part of the WSL Pro Longboard Championship Tour and also placing good in Hawaii and Tahiti last year. Who has the biggest inspiration on your surfing? 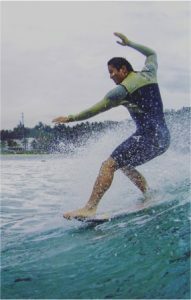 Larry Bertleman, Buttons, Johnny boy, Sunny Garcia, Bonga Perkins, Dino Miranda and last but not least Lance Ho’okano. I understand you practice Jiu-jitsu too, what level are you at with this and how hard was it to get there? How does this help your surfing? Jiu-jitsu and surfing is the best crossfit training that there is, one art complements the other. The black belt is just the white belt that didn’t quit. My level just reflects a life dedicated to the art. I feel comfortable to say that I can make it easier to learn then it was for me. Hard? No nothing is hard when you have pleasure passion and so much satisfaction doing it, but its time consuming yes like everything in life you need time to learn and evolve. You are here to fulfill your true desires. To live up to that you must know which of all your desires are really true and that takes time until your desires become a necessity and become true. Be true to yourself, accept yourself and choose your work with your heart so you can go to work to have fun. Helping others as much as possible is the only way to help yourself. Live to serve and servants souls will always find you too. Eat right, cause you are what you eat! Learn yoga so you know how to breathe and keep your mind busy with good and positive thoughts, happiness is a choice. 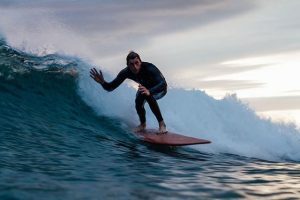 A little while back we sent a few longboards over to surfers living on a small Island off the coast of France called Jersey. Not somewhere I’d heard of before meeting Charlotte Bayliss and Ben Haworth who visit Noosa to compete in the Noosa Festival of Surfing. 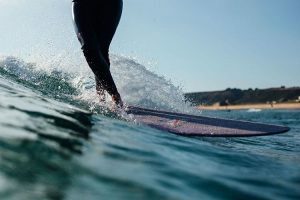 Charlotte is a great surfer on both long and shortboards so I thought I’d get in contact with her to find out more about her surfing and the surfing community in Jersey. Where are you from and what’s the surf like there? “I’m from Jersey which is a small 9 x 5 mile island off the coast of France. We often get confused for our neighbors in New Jersey and we definitley don’t speak French, although all of the road names are in French which get’s confusing! 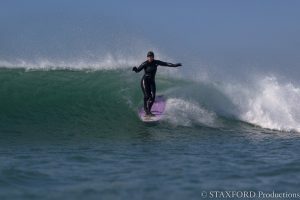 What is the surfing community like in Jersey? What is your favourite longboard model? 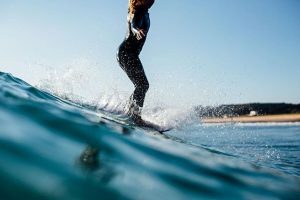 Where is your favourite surf break? Do you remember the first time you caught a wave and what the experience was like? Who is your favourite surfer or favourite style? Now starting to get that autumn feel in Jersey, Charlotte and the crew are hoping for those winter swells to be pushing through before long! Here’s a few photos of the crew we sent boards over for… what an awesome community of surfers!